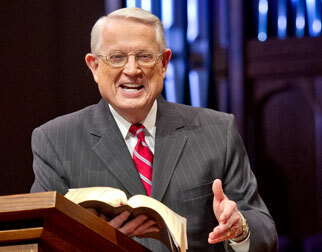 Listen to Chuck Swindoll’s overview of Daniel in his audio message from the Classic series God’s Masterwork. Named after its writer, Daniel’s book is a product of his time in Babylon as a Jewish exile from Israel. 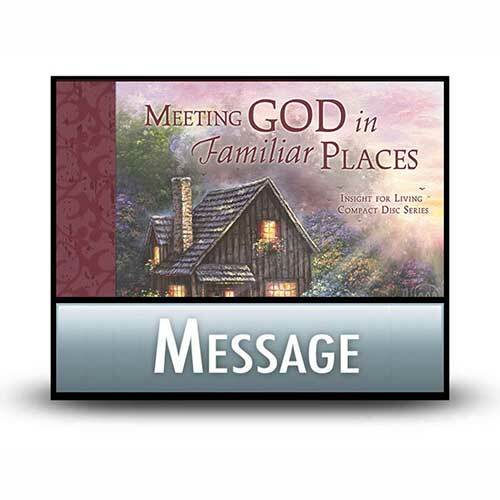 While still a young man, Daniel travelled to Babylon with a group of young Israelite nobles, men of promise whom the conquering power felt could be of use in service (Daniel 1:3–4). Once Daniel arrived, the leadership in Babylon renamed him Belteshazzar in an effort to more closely identify him with his new home (1:7). Daniel lived there throughout the Jews’ seventy-year captivity (1:21; 9:2), eventually rising to become one of only three administrators over the provincial governors throughout the kingdom (6:1). 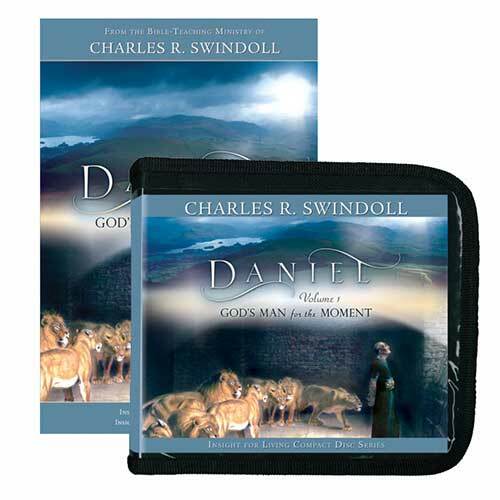 Daniel is one of the few Bible books that takes place during a period of judgment (many books foretell it and a few look back on it) and in a foreign nation. Whether it’s in the contrast between the culture’s idol worship and Daniel’s faithful purity or in the account of the arrogant Nebuchadnezzar and his humbling encounter with God, the pagan backdrop in Daniel makes the Lord’s power shine through in a magnificent and majestic way that stands out in Scripture. 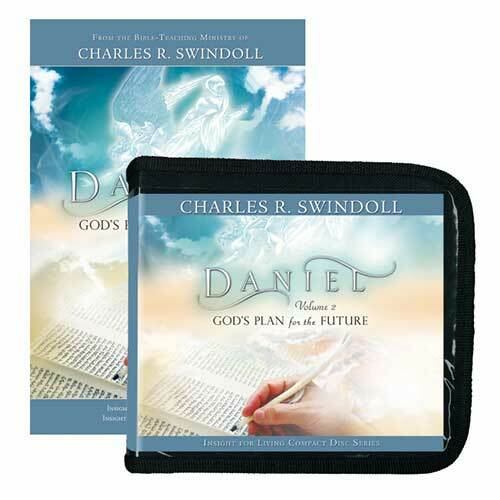 The book of Daniel makes it clear that the true God is the supreme ruler over heaven and earth (Daniel 4:17), even when all seems lost and the consequences of sin seem overwhelming. The book of Daniel stands as a unique mix in the Old Testament, for while it begins with history, it makes a strong transition at chapter 7, where it contains visions of future events significant to the Jews. In particular, Daniel 9:24–27 gives a meticulous timeline of when Israel’s Messiah would appear and the events that would follow. 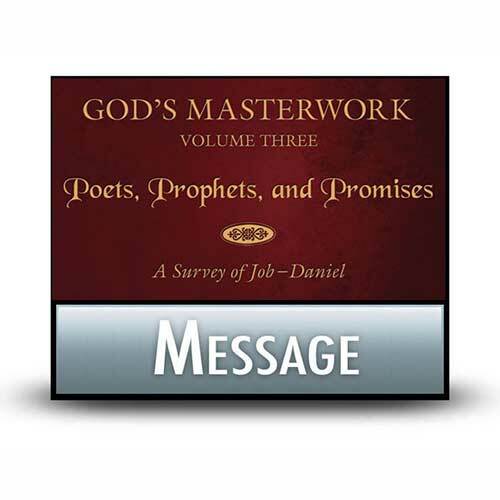 In both the historical and the prophetic sections, Daniel presents a strong case for the absolute sovereignty of God, even over a multiplicity of self-absorbed foreign powers. This theme of sovereignty occurs on numerous occasions, including Daniel’s deliverance from the lions’ den, his friends’ rescue from the fiery furnace, and the future arrival of the Ancient of Days to save His people from the forces of evil (Daniel 3:23–30; 6:19–23; 7:9–22). 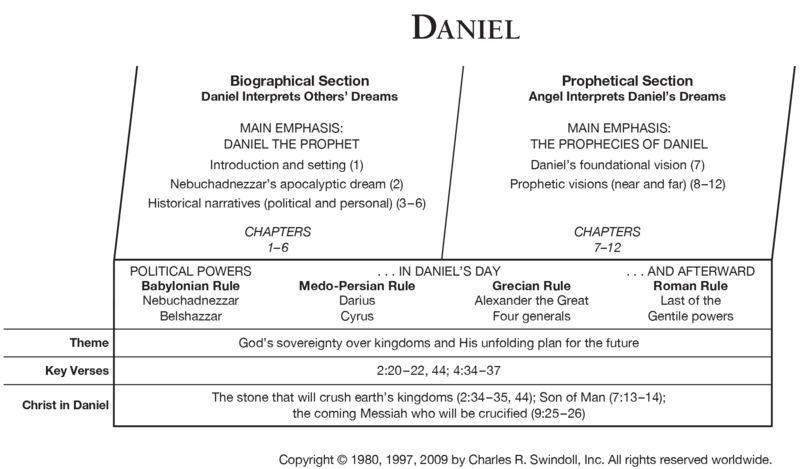 View Chuck Swindoll's chart of Daniel, which divides the book into major sections and highlights themes and key verses. 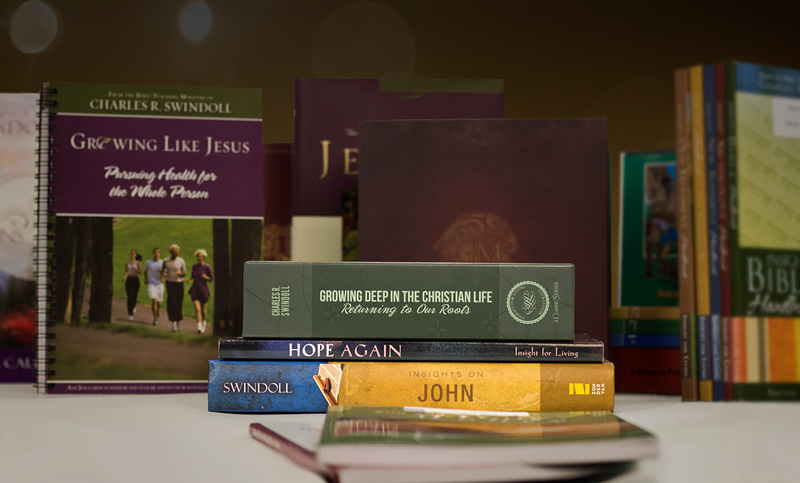 Discover more resources related to Daniel.